Mayberry 2012 | What Would The Founders Think? With the recent passing of Andy Griffith, many looked back longingly at the town ofMayberry, where The Andy Griffith Show took place during its long television run during the 1960s. Of course, Mayberry was more a state of mind than an actual place. But, suppose it was real, what would it look like today? 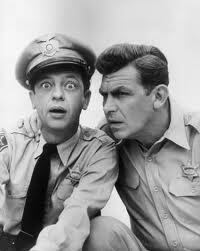 Naturally, the Mayberry police force of Andy Taylor and Barney Fife would be under a constant barrage of criticism from the likes of Jesse Jackson and Al Sharpton and threats of lawsuits from the Department of Justice because there are no “people of color” on the police force. Fortunately, Deputy Fife has an ally in Janet Napolitano, who selects Fife as the subject of a new Department of Homeland Security training video. 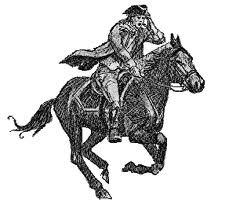 He quite ably demonstrates the new DHS “one man, one bullet” policy. 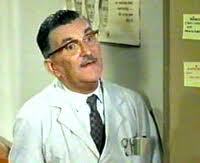 Floyd Lawson, the barber, long ago lost his license as he was unable to meet the new, much more rigorous state licensing demands for hair stylists. No longer gainfully employed, Floyd applies for food stamps. Both he and the federal government are bursting with pride that he is now a participant in the Supplemental Nutrition Assistance Program (SNAP). “I’m kind of lazy anyway,” Floyd said. Opie Taylor, having completed his primary education, will soon be attending college. He will shortly be enrolling at Duke University on a lacrosse scholarship. Jesse Jackson has said that he will be monitoring him closely. Influenced by New York’s Mayor Bloomberg, Mayberry’s Mayor Pike takes aim at obesity. Unfortunately, he is unable to find anybody in Mayberry who is classified as obese, except Aunt Bea. Still, he is able to enact new laws requiring all of Aunt Bea’s pies to consist of only Greek yogurt and hummus. Inspired by other events in New York and elsewhere, Ernest T. Bass forms an Occupy Mayberry movement. He doesn’t actually do anything other than what he normally does, cause mischief and throw rocks through windows. Nonetheless, the Occupy Mayberry movement becomes the darling of the mainstream media. As one of the long-term unemployed, he is also extremely popular with the SNAP folks. Otis Campbell, the town’s “substance abuser” has been in and out of more 12-step programs than Lindsey Lohan. Of course, all future 12-step visits will now be covered as part of Obamacare’s mandatory coverage directive. Lastly, Andy Taylor will be retiring as sheriff of Mayberry. It’s not that he doesn’t want to continue in the job, but he’s term-limited. Once again, the SNAP bureaucrats are licking their chops at his pending unemployment. However, he will reap the benefits of the very generous Mayberry public employee retirement package. It’s so generous that Mayberry will be forced to declare bankruptcy upon his retirement. At least Gomer can come out of the closet and still be a Marine!